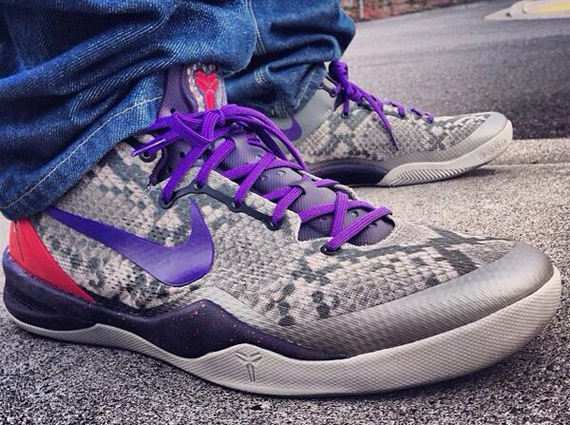 The new looks for the Kobe 8 continue with this all new 'Mine Grey' edition hitting the web today. Nike Basketball's latest take on the Kobe 8 arrives with a snakeskin-covered 'Mine Grey' Engineered Mesh upper, and purple Swoosh logos to match the laces also put to use. Red accents are also seen matching the paint splatter on display over the midsole sitting below. 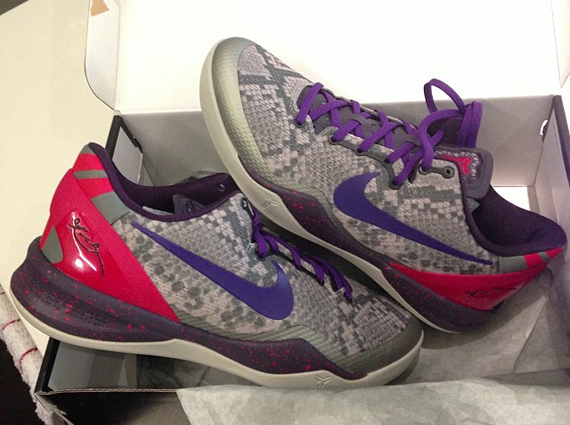 Stay tuned to Sole Collector for further details on the 'Mine Grey' Nike Kobe 8.